Maybe one day I will learn to not buy books written by non-professional-book-writers. I love Sorrentino, but I hated this book. Well I am actually being unfair, 'cause I think I read only 30% of the all book before deciding to close it. So maybe I didn't hate the book, I simply didn't like the main character. Annoying, arrogant, selfish, you feel like slapping him from the first pages. 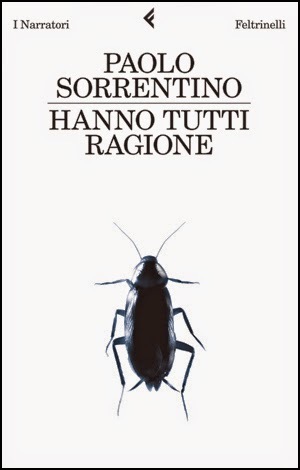 I am sure it would have been a great character for a Sorrentino's movie but in a book was just too annoying.